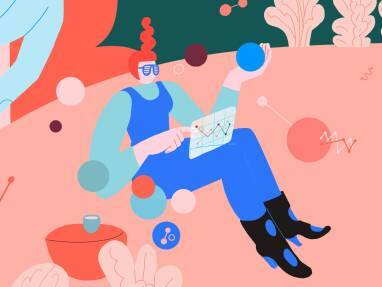 How can we enhance the employee experience? 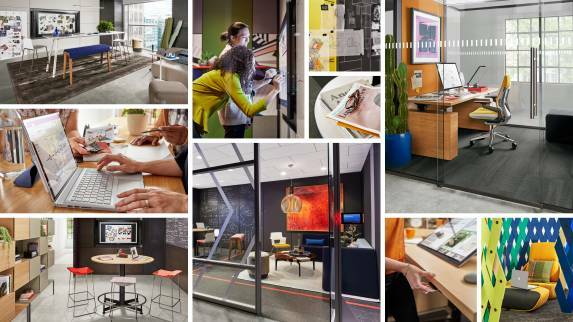 Smart + Connected products and services create intuitive and adaptive workspaces to optimize employee productivity and workspace performance. 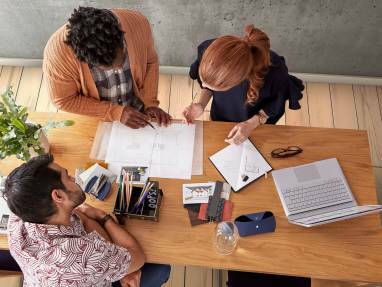 Combining our deep workspace expertise and solutions with Microsoft technology, we give companies the tools that help employees move, feel and think better, and engage like never before. 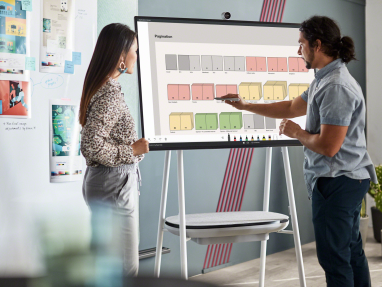 With the Steelcase Smart + Connected suite of products and services, employees can seamlessly go about their day, supported by an intuitive workspace that adapts to their individual and collective needs. 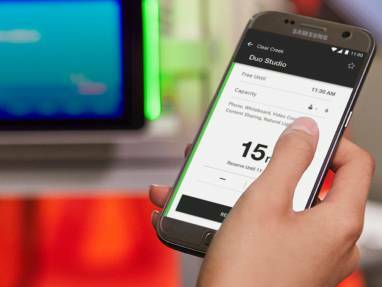 Make it easier for employees to seamlessly go about their day, supported by digital wayfinding and room scheduling. 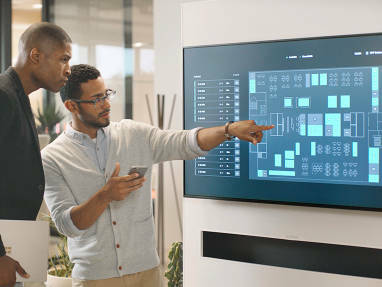 Steelcase Live Map is a large-scale digital display that shows the real-time availability of rooms, desks and workspaces. 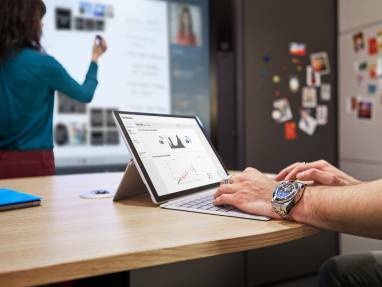 The Steelcase Find App helps workers connect with the right space at the right time to do their best work. RoomWizard is a scheduling system that allows users to book and reserve spaces, making it easy to get the most out of their connected spaces. 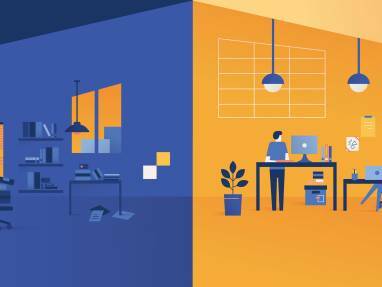 By displaying real-time availability, Live Map takes the guesswork out of finding the ideal workspace, helping people save time, feel more confident and focus on what really matters: achieving their best possible. 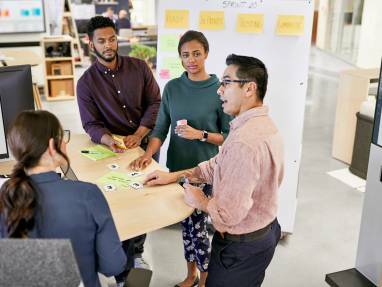 The Steelcase Find app helps employees find available spaces with the size, tech and amenities they want and invite colleagues to collaborate. Support employees’ wellbeing with solutions that encourage them to stand and move. 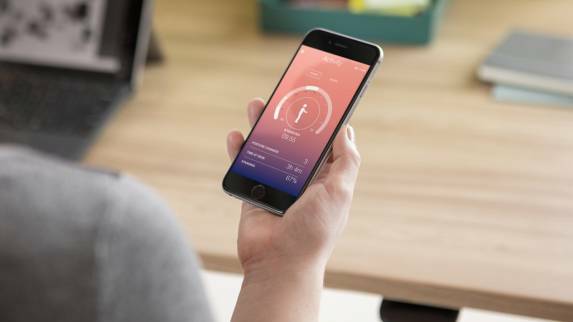 These apps make it easier for employees to navigate the workplace to quickly find their best place to work and then to adapt the furniture in the space to their individual needs and preferences. 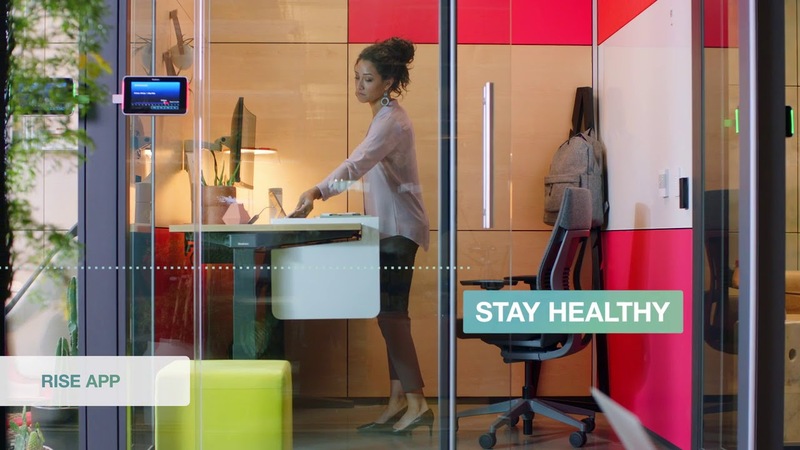 The Steelcase Rise app encourages movement throughout the day by pairing with height adjustable products. 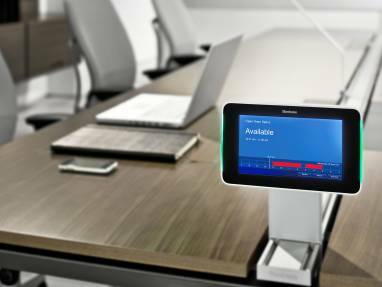 The Steelcase Rise app elevates the height adjustable experience. It brings personal presets to any desk with an Active Touch controller, provides subtle reminders to change posture and tracks activity toward wellbeing goals. Support teamwork by providing employees with the tools to collaborate. 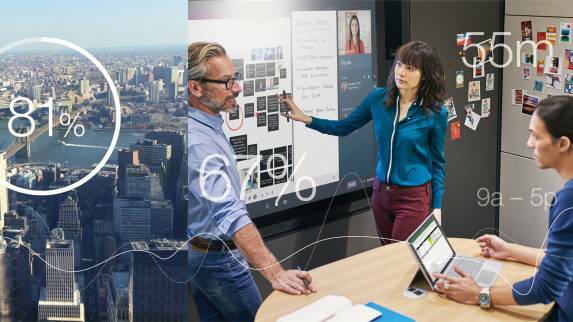 Surface Hub 2 – Microsoft Surface Hub 2 is an all-in-one collaborative device built for teamwork. 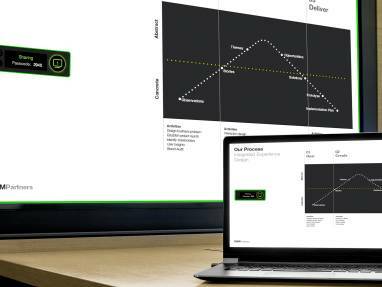 Virtual Puck provides a system for wireless content sharing during meetings. media:scape thoughtfully integrates furniture and workplace technology bringing people, space and information together to enhance productivity and help groups excel. Mobile stands wall mounts for the Microsoft Surface Hub 2. 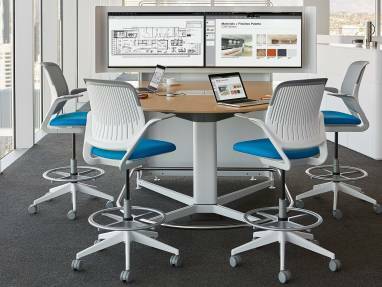 Steelcase Workplace Advisor is a suite of space measurement and analysis tools which provide facts and insight on space usage revealing opportunities to elevate performance. The data these tools collect lets space tell you what’s happening and what’s possible so you can decide what to do next. Workplace Advisor Subscription offers ongoing measurement and analysis of how your spaces are performing. Workplace Advisor Study allows for short-term measurement resulting in actionable insights for immediate improvements. Workplace Advisor Subscription is a continuous space measurement tool that lets organizations monitor, quantify and optimize ongoing workplace performance. It provides actionable data accessible through an intuitive online dashboard. Workplace Advisor Study is a short-term space measurement engagement paired with in-depth analysis and consultation. 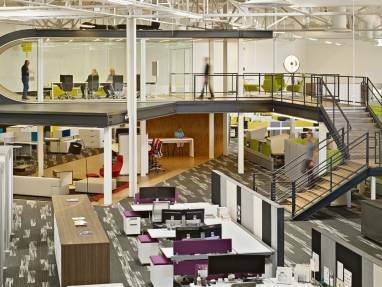 The process reveals what people want and use to optimize an organization’s investment before or after a major space change. 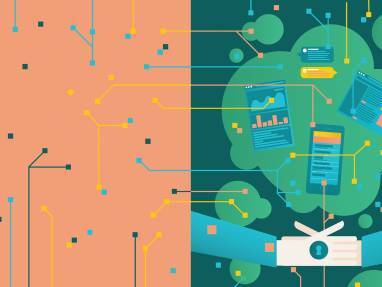 How One Workplace leveraged data and insights to better support its growing team. More than a dusty five-year plan, being able to rapidly respond to changes often determines an organization’s success in today’s unruly business climate. 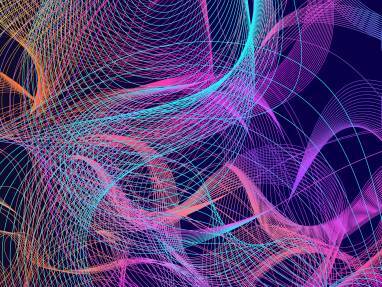 Becoming more agile is rarely easy, and these insights can help. 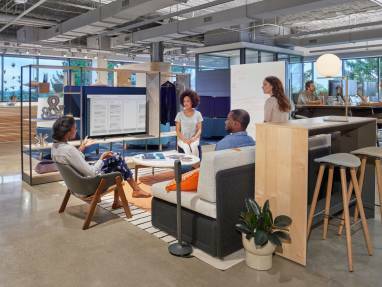 Learn about the Microsoft and Steelcase partnership including Creative Spaces — an immersive ecosystem that brings together place and technology to help people generate new ideas and move them forward. 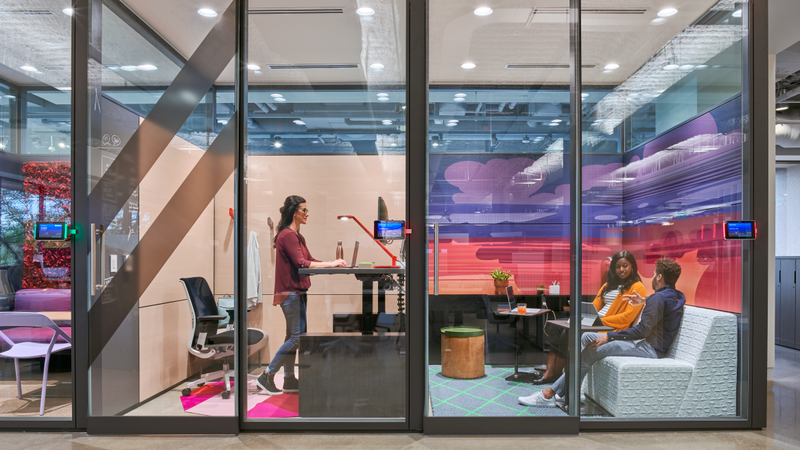 Learn more about how to make your workplace Smart + Connected with Workplace Advisor, our mobile apps, collaboration and scheduling solutions or Creative Spaces.